Foreign Rights: What Is It All About? 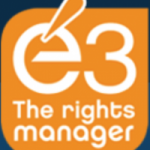 30 May Foreign Rights: What Is It All About? 2 Seas Agency’s co-founder Marleen recently collaborated with Publishing Trendsetter on an infographic documenting the Lifecycle of a Book in Translation. One of our former interns reflects on how she’s come to understand the lives of books through the world of foreign rights. “What do you do?” friends and family have asked me since I began interning with 2 Seas Agency. “And what does that mean?” they ask when I tell them I work with a foreign rights agency. The work of a foreign rights agent can be opaque even to those who work in publishing. Publishing Trendsetter’s Lifecycle of a Book in Translation series reveals the many hands through which a book passes on its way to foreign markets. Right in the middle of that journey—and, appropriately, Publishing Trendsetter’s infographic, which you can find below—is the foreign rights agent. Foreign rights agents are the ultimate middlemen, the matchmakers of the literary world the world over. During one of my first meetings with Marleen, we discussed the infographic on which she was collaborating with Publishing Trendsetter. With a rough sketch of the infographic for reference, Marleen explained to me that a foreign rights agent works with books that have already been published, or whose publication is forthcoming, in their original language. These books come to foreign rights agents from the rights holder, or the publisher or person who holds translation rights for the book. Depending on the initial contract signed between the author and his or her domestic publisher, the rights holder may be the author, the author’s agent or the author’s domestic publisher. Foreign rights agents generally receive books for representation in one of two ways. Authors who have retained translation rights for their books may submit their book to a foreign rights agent or publishers may commission a foreign rights agent to represent the publisher’s catalog, or collection of titles. For a list of 2 Seas Agency’s clients—authors, publishers and agencies—click here. In any case, a foreign rights agent may represent translation rights worldwide or for select languages. 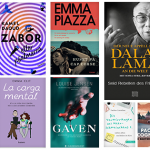 Then, the foreign rights agent plays matchmaker, matching books with foreign publishers who have published or are looking to publish similar works. Foreign rights agents must have an intimate understanding of the markets in which they represent titles. Because the 2 Seas team has extensive experience in the English language, France, Germany, the Netherlands, Portugal, Scandinavia and the Baltic countries, we sell translation rights directly in these territories and languages. Elsewhere, 2 Seas relies on a network of co-agents who sell foreign rights in their territories on behalf of 2 Seas and the rights holder. Marleen also works with other foreign rights agencies in this capacity, acting as a co-agent in her specialty markets. The fluidity of the foreign rights agent’s roles is another indication of his or her centrality in the publishing world. A foreign rights agent’s work does not stop after translation rights are sold. Once again, the foreign rights agent plays the role of a middleman. Foreign rights agents serve as liaisons between foreign publishers and rights holders by facilitating contract signatures, ensuring that publication schedules are met and payments received according to the conditions laid down in the contract. But back to the role of matchmaker. How do foreign rights agents know which books are a good fit in which market and with which publisher? Research and book fairs! The demands and trends of foreign markets and readers are constantly changing. 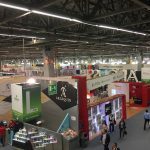 In order to stay current, foreign rights agents must continually ask publishers, “What are you looking for?” Often, these conversations take place face to face at book fairs in Frankfurt, London, New York and elsewhere. Foreign rights agents must also study and research foreign markets to determine whether the book at hand will be unique in the market or one of many similar titles. Like any job in publishing, it all comes back to reading. We are all, first and foremost, readers. 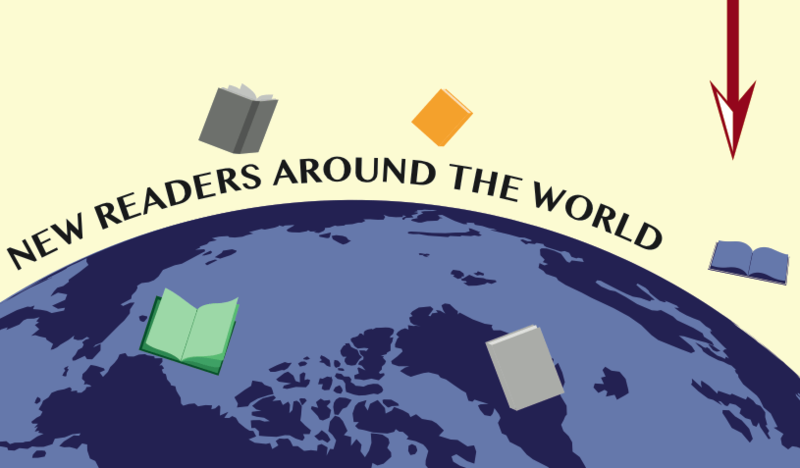 Foreign rights agents simply add to their love of reading a passion for enabling books and ideas to travel, connecting people across international and linguistic boundaries. I could not ask for a better introduction to publishing. For, my experience in foreign rights at 2 Seas has introduced me to the publishing world in every sense of the word. For more on the work of foreign rights agents, take a look at our series, “What Does Our Work Consist Of?” Part 1 and Part 2.